Keep chilling in a practical double pack! 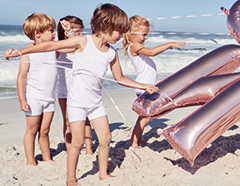 These boys' underpants simply exude a good mood! The denim blue version is decorated with our darling Henry, who becomes a real eye-catcher with great earphones and lettering on the back. 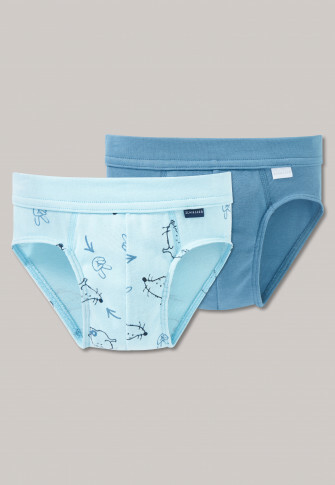 The cool rat appears several times on the light blue brief in an allover pattern featuring "Chill-Hand" and arrows. 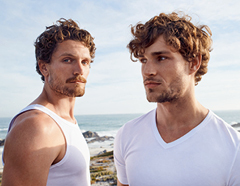 A perfectly fitting underwear duo in the best fine rib that sets the tone - in the best SCHIESSER quality, of course! 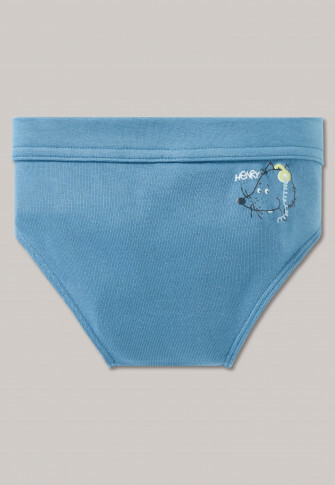 equipped with a super comfortable, tone-on-tone soft waistband- no pinching or bunching!